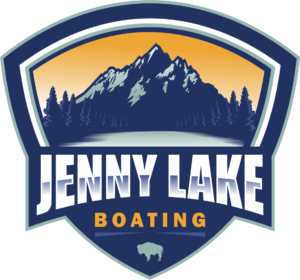 The greatest resource of Jenny Lake and Grand Teton National Park is the natural environment. Stewardship of this wild place, along with the protection and preservation of the flora, fauna, and aesthetic scenery, must be our top priority. Wilderness appreciation begins with a connection to the land through exploration and a deeper understanding of the surrounding ecosystem. We must also understand the rarity and scarcity of truly unique wild places among an ever more urbanized society. The true meaning of wilderness is an area unadulterated by man and his creations. Land without the imposition of human embellishment and development is truly rare. The Wilderness Act of 1964 sought to assert this very philosophy and overall protection of our natural resources. Jenny Lake and Grand Teton National Park work in unison to preserve, protect, and promote wilderness values. We have a moral responsibility to park visitors and future generations, to be the environmental stewards of this wild place. A wilderness, in contrast with those areas where man and his own works dominate the landscape, is hereby recognized as an area where the earth and its community of life are untrammeled by man, where man himself is a visitor who does not remain. An area of wilderness is further defined to mean in this Act an area of undeveloped Federal land retaining its primeval character and influence, without permanent improvements or human habitation, which is protected and managed so as to preserve its natural conditions and which (1) generally appears to have been affected primarily by the forces of nature, with the imprint of man’s work substantially unnoticeable; (2) has outstanding opportunities for solitude or a primitive and unconfined type of recreation; (3) has at least five thousand acres of land or is of sufficient size as to make practicable its preservation and use in an unimpaired condition; and (4) may also contain ecological, geological, or other features of scientific, educational, scenic, or historical value. Q: What is a designated “Wilderness Area”? Q: Why are “Wilderness Areas” important?